This week, Your News to Know brings you the latest stories involving gold and the overall economy. Stories include: Italy’s exit from the EU could be the source of the next crisis, gold could soon regain favor among investors, and a Russian shipwreck allegedly carrying $130 billion in gold. After Greece and the U.K., Italy could be the latest country to edge towards an exit from the European Union reports Kitco. Such a move would not only push the eurozone into turmoil, but also threaten the health of the global market as a whole. 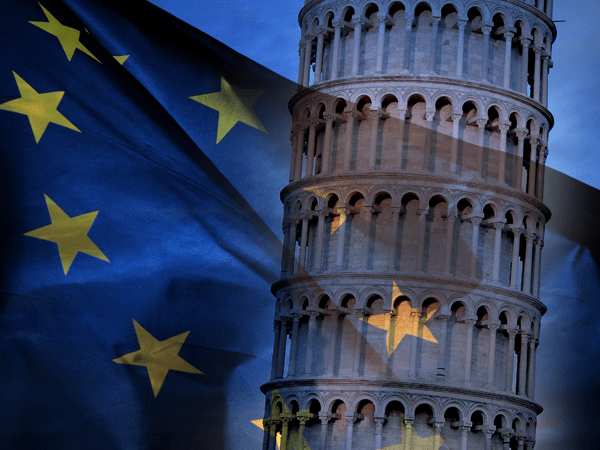 In a recent report, consultancy firm Rosa & Roubini Associates examined the risks associated with a potential Italian departure from the EU and what it would mean for the yellow metal. According to the firm’s CEO Brunello Rosa, a plunge in equities, soaring short- and long-term rates and a rise in credit default spread premia are just some of the issues to expect in the aftermath of Italy’s exit. Rosa said that Italy’s desire to split from the EU exit comes from dissatisfaction with Brussels’ policies, ranging from budget constraints to immigration laws. The general opinion of dissent was exemplified by the election of a populist government whose members have been vocal EU critics. Although Rosa noted that Italians have not yet reached the point of a unanimous exit, they could grow bolder due to the nation’s strong exports which foster ideas of independence. All of this is good for gold, said Rosa, who advised investors to mind their exposure to risk as the situation develops. Italy’s issues with the EU could come to a head in September, when the new government submits new legislation on a variety of fiscal issues to Brussels. Rosa said that this is an ideal time to diversify one’s portfolio with gold, which serves as protection against possible corrections in other assets should tensions in the eurozone escalate. Although gold has been subdued by a soaring dollar and a broad selloff in commodities, analysts see different venues through which the metal could recapture its luster. According to CNBC, recent comments by Fed chair Jerome Powell reassured investors that the Fed would continue along the beaten path and maintain its rate hiking agenda for the foreseeable future. However, there are signs that suggest the Fed might not have as much room to raise nominal rates in 2019. Bart Melek, head of commodities research at TD Securities, pointed out that the Treasury yield curve is dangerously near inversion, with the 10-year yield and 2-year yield at their closest point since 2007. A drop by the 10-year yield below the 2-year yield would signal an inversion and bring about concerns that a recession is imminent, as Fed critics have already alluded to. More relief could come from a retracement of the dollar’s rally, something Standard Chartered precious metals analyst Suki Cooper expects to happen from September onwards. Despite Powell’s comments, some feel that the dollar’s strength is shaky given the metal’s lengthy bearish stretch before the turn of 2018. Cooper also said that her firm sees a potential spike in inflation, which would likewise bolster gold prices. Investors may have responded to the current round of trade tensions by loading up on the dollar while shunning commodities, but that could change if conflicts over tariffs intensify. A full-on trade war could weaken the global economy, heighten inflation and halt the Fed in its tracks while driving investors to look for safe havens other than the greenback. A recent survey by Bank of America Merrill Lynch showed that a record 17% of fund managers agree that gold is currently undervalued, giving weight to the notion that the metal could see a notable recovery before the end of the year. A recent finding by South Korean salvage company Shinil Group could lead to the recovery of one of the largest bullion piles in modern history. According to an article on Popular Mechanics, footage released by the company confirmed the rediscovery of Russian warship Dmitrii Donskoi, which was considered lost after being evacuated in 1905. The 306-foot-long cruiser used in the Russo-Japanese War was reportedly carrying 5,500 boxes of gold bars and 200 tons of gold coins when it was abandoned off the Korean coast. If the information is true, the bullion held within the ship would be worth $130 billion at today’s prices. While an official confirmation is yet to be made, Shinil Group claims to have seen a treasure box among the wreckage. The South Korean firm will be joined in its efforts to salvage the lost treasure by companies from around the world, including China, Canada and the U.K. The operation is expected to take place later this year. If successful, Shinil Group pledged to give half of the money from the recovery to Russia’s current government while using the remainder to invest in a railroad line connecting North Korea, South Korea, and Russia.